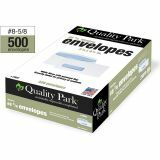 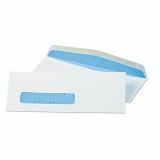 Quality Park Window Envelope, Address Window, #8 5/8 (3 5/8 x 8 5/8), Gummed, 500/Box - No. 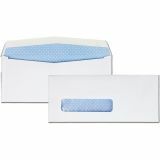 8-5/8 envelopes feature blue ink inside tint for increased privacy and a window to show the mailing address. The 1 x 4-1/16" window is positioned 1" from left and 3/4" from the bottom. 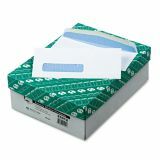 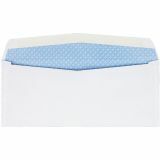 24 lb., security envelope also features white wove construction, a contemporary seam and gummed flap."